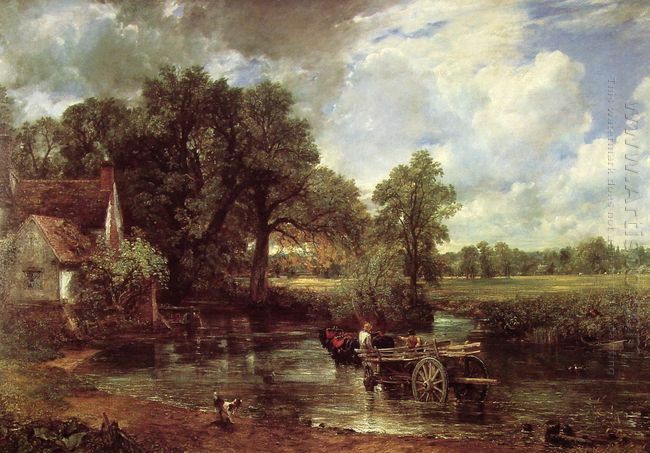 The Hay Wain is drawn by the British landscape painter John Constable, who is Britain’s greatest landscape painters in the 19th century. This painting has strong characteristics of naturalism, the sky, the light, color and processing technique of which is a kind of revolutionary style. Here, Constable takes the sky as an important subject and sets aside a large space depicting heaven clouds fluttering in the wind. The white clouds are surging in the sky and above the screen the dark clouds are quietly pressing towards, casting a shadow to the farmhouse and the woods on the ground.